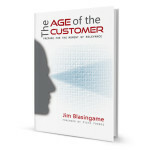 Jim Blasingame’s new book, The Age of the Customer: Prepare for the Moment of Relevance, provides a practical guide to help business leaders prepare for the shift from the age of the seller to the age of the customer. 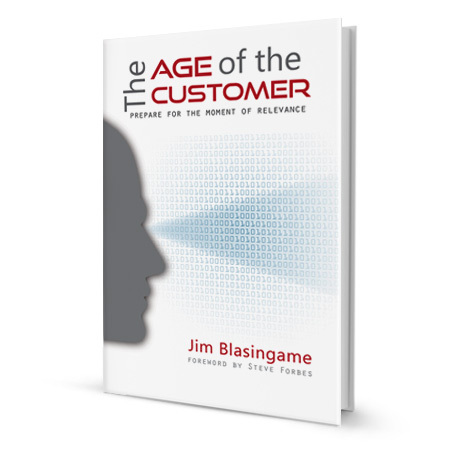 What makes this book stand out from others is the thoroughness with which Blasingame has thought through this shift and what businesses need to do to survive and thrive. This is a book you will want to read with a pad of paper and pen handy to write down the ideas and actions you learn. The sheer breadth of topics Blasingame covers – branding, communications, globalization, marketing, organization culture, outsourcing, processes, quality, sales, social media, etc. – is impressive. He effectively connects the dots of what he’s learned from an army of experts, makes sense of it and explains it in clear, concise language. I could not recommend this book more highly. For a business owner, it’s not one to be missed.